Please give a warm welcome to Genna, Chris and Baby "Smudge" in their amazing story. She is a sweet, sweet person who gives a lot of support to other women struggling through TTC. 3. What stage of Infertility are you in (Natural, Clomid, I UI , I VF)? 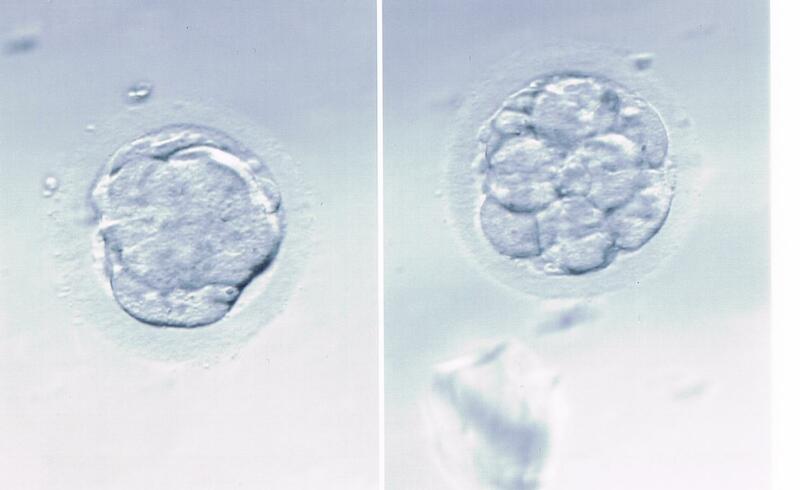 I am currently pregnant, but IVF with ICSI was our only option. We had to do 2 cycles, and at one point we had to consider donor eggs. If this cycle didn’t work, we would have gone ahead with donor eggs. cycle was an abysmal failure, I then had additional blood work including a full blood clotting panel, repeat pregnancy loss panel and AMH level. 5. If you have been diagnosed, would you please share? my extremely low AMH level. I’ve also been diagnosed with Premature Ovarian Failure. As an added bonus, I’m also considered AMA because I’ll be 35 when the baby is born. a newlywed and just relax about getting pregnant. I’ve been seeing the RE ever since. I found a new OB/Gyn when I got pregnant. (every other day I take the other dose) and 400iu of Vitamin D.
During my IVF cycles, I obviously took a lot more meds than that. During my last cycle, I was doing 4 injections daily (2 in the morning and 2 at night). All of the same supplements I take now, plus 2mg of Estrace twice a day and 81mg of baby aspirin daily. I stopped most of those medications at various points of my IVF cycle. However, the PIO (progesterone in oil), Estrace and Aspirin continued until 12 weeks exactly. During my pregnancy, I've been taking Red Raspberry Leaf tea throughout the 3rd trimester to strengthen and tone my uterus and taking Evening Primrose Oil 1000mg twice a day since 36 weeks, to aid in softening the cervix. would you want to post your chart link? I was charting until my diagnosis. Putting away the thermometer was very freeing. with children)? We plan on using our mutual infertilities as birth control. And if by some miracle one of his 6 sperm manages to fertilize one of my ancient eggs, we’ll be happy to accept the miracle. If not, we’ll be back at the RE to try for #2 when our LO is 1 year old and weaned from breast milk. 11. I s there anything else you would like to tell us about you? Infertility is the most difficult thing in the world to deal with. You don’t know what it’s like to know that you and/or your husband is broken. People that judge just upset me more than they can know. The courts in this country have made reproduction a right. But society seems to think it’s a privilege and if you’re infertile, it’s your responsibility to adopt all of the children of the world. When I hear people complaining about their children, it makes me cringe. Stop having them if you don’t want them. They take what they’re given so completely for granted. They have no idea. And being pregnant doesn’t make infertility go away. At 33 weeks pregnant, I’m still checking the toilet paper every time I wipe. Infertility lasts forever. I don’t know if we’ll ever be the same. Meet my baby (we’re pretty sure Smudge is the one on the left – the embryo wash ahead in growth and Smudge was an early implanter). The embryo on the right also implanted. Smudge was a twin for a short time. We lost the 2nd baby early on. Thank you to Genna and Chris for sharing their story with us. I can't wait to see pictures of baby "smudge" soon. If you would like to be part of Spotlight on Infertility, please contact me at domesticprncs@gmail.com. Very informative. However, the words "sweet, sweet" and "giving a lot of support" would not be the ones to describe the interviewee.